Discussion in 'MacBook' started by Haqq, Dec 15, 2011. 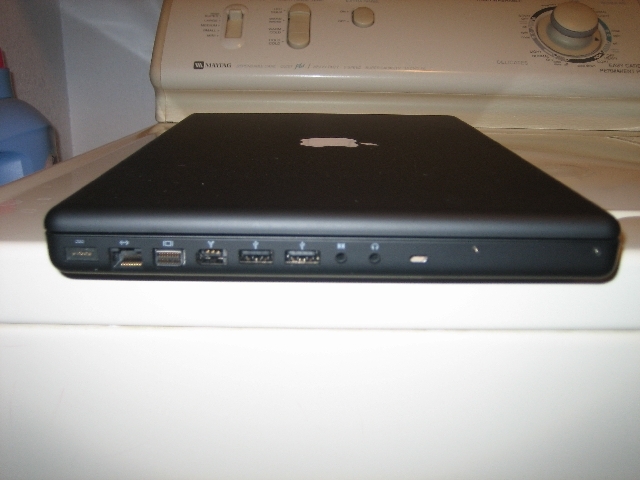 Hey guys, I have an old Macbook and it has the FIREWIRE port... I also have a Samsung TV. Is there a wire I can buy that I can connect my laptop to the tv? So I can watch movies directly off the screen like screen sharing it? Or is the quality going to drop. This is my side ports. ~ Just concerned regarding the audio now. Though that is pricy. Perhaps there are cheaper solutions? Yeah definitely the cheapest way just realized my tv does have a 3.5mm jack!